IIM Indore brings to you its Annual National Level Sports Festival – Ranbhoomi. The word ‘Ranbhoomi’ truly captures the essence of any competitive Sport. It is about the challenge, the war, the performance in the war, the rules, the ethics, the spirit and all that contributes to culminate into a healthy competition where one desires victory, in its every form. The three-day event holds an enthralling variety of sporting events – ranging from the popular – Cricket, Football, Basketball, Volleyball & Chess to the unusual including Arm-Wrestling, even! And, each promises to bring together the best talent from across the nation. Ranbhoomi brings to you, three days of pure, unadulterated sporting fun. Join in, play hard, compete well, and walk away with laurels and a shining victory that is promised. 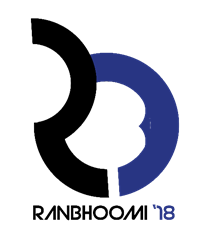 Ranbhoomi 2018 is scheduled on January 19th, 20th, and 21st.